Cafe Orleans is a table-service restaurant in the heart of Disneyland’s New Orleans Square. 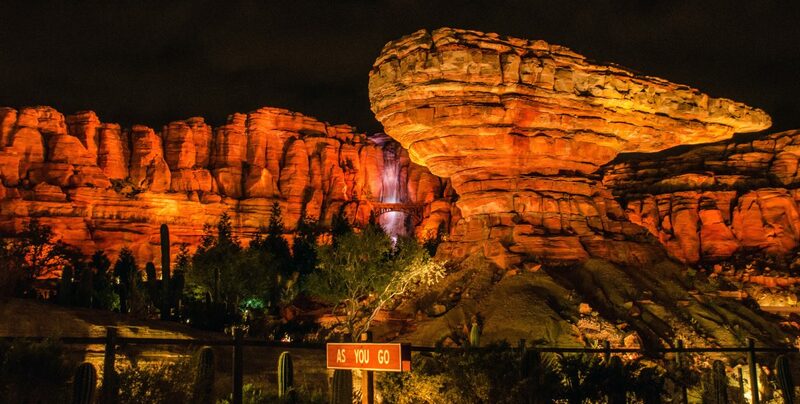 Most of the restaurant is outside, looking out onto Rivers of America, Frontierland and different passersby. The outside seating is all under umbrella so weather isn’t much of a factor unless it’s ridiculously hot or frigidly cold. The menu (follow the link) consists of Cajun-Creole fare and ranges in price from about $15-$30 (per entree). We went to Cafe Orleans on our latest trip to Disneyland. We went the afternoon after running our 10K so there’s a chance we were on a little bit of a high to accurately judge a restaurant. With that being said, my thoughts are pretty even with those of other review I’ve read. Whatever ‘runners high’ I was on was probably setback by my legs feeling like jello that had been sitting out in a lukewarm room just a little bit too long. We had made a reservation for Cafe Orleans in the middle of the afternoon and arrived a bit early. Thinking that it wasn’t peak lunch hours, we assumed that we would be able to sit pretty quickly. Even with eating around 3 PM, the restaurant was pretty full and checking in early didn’t accomplish much. I heard them tell other guests who didn’t have a reservation that the stand-by wait would be at least an hour. So, all that to say, if you are going to Disneyland, Cafe Orleans may be one of the few restaurants you may want a dining reservation for (although getting a reservation too far in advance isn’t necessary). After we were seated, ignoring the ambiance of this restaurant and area was impossible. There isn’t much theming of the actual sitting area because the restaurant is in New Orleans Square. The theming was already there and they didn’t need to add anything to it. The restaurant has a great energy as you can watch all of the people passing by. The view is great, especially if you get a table right along the fence line. 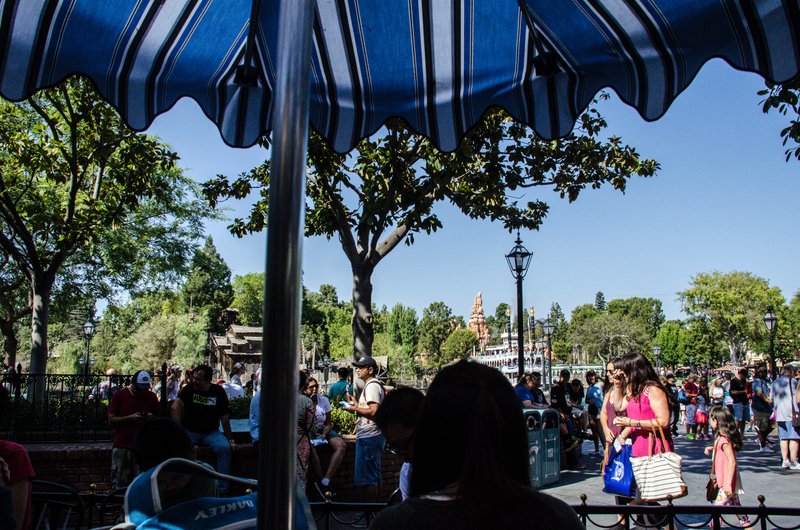 There’s also something very charming about sitting under all of these umbrellas and sipping a cold drink. We had a beautiful day to enjoy and really loved the restaurants atmosphere. The Pommes Frites at Cafe Orleans are Disneyland of legend. They are (thinly cut) french fries with parmesan, garlic and parsley on them. 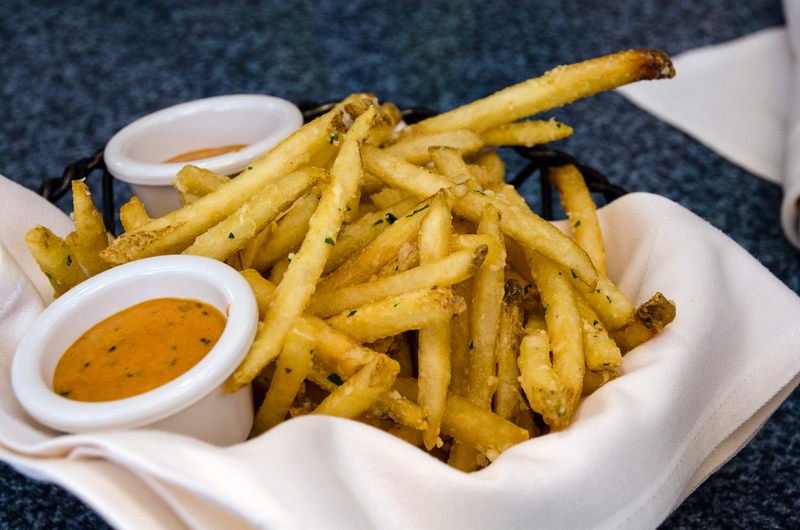 Pommes Frites also come with a delicious cajun spicy remoulade. The fries alone are absolutely delicious. Ours were perfectly cooked, crisp but nowhere near burnt. The flavor shouldn’t have been as good as it was, being simply french fries with a few ingredients on top but, they were delicious. When you add in the sauce, it became one of my favorite items I’ve eaten at Disneyland. The sauce has a nice flavor and wasn’t very spicy, if you worry about that kind of thing. The remoulade blended well with the Pommes Frites. I could have eaten about three orders of these and been perfectly happy. They are a perfect appetizer. For our entrees, we both ordered crepes. Melissa ordered the Braised Beef Crepe and I ordered the Chicken Gumbo Crepe. They each came on top of a pea puree and had mixed vegetables on top. The Braised Beef Crepe was just okay. The meat was tender and had good flavor but there wasn’t much else to it. 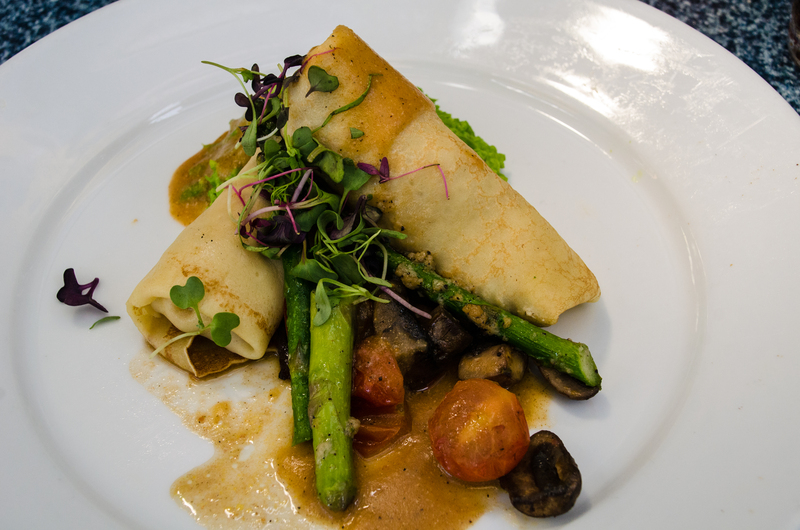 Although there was a nice bordelaise sauce on top, the crepe was somewhat dry. We both liked the vegetables on this dish. 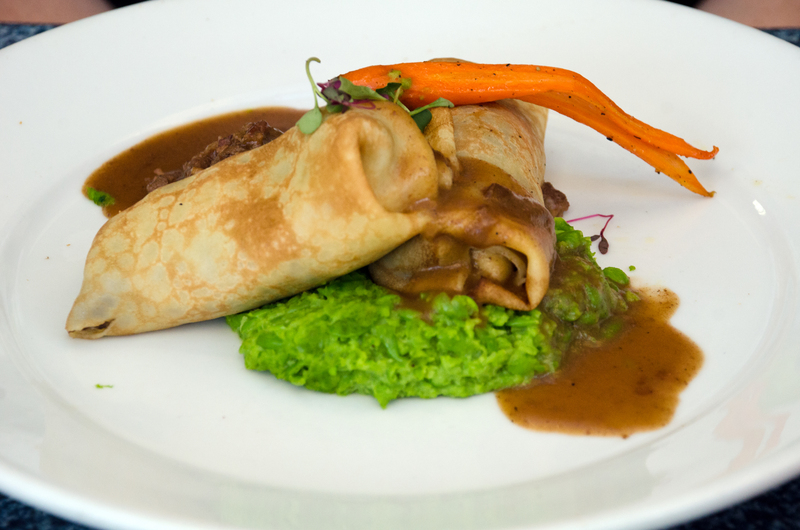 The dryness of the Braised Beef Crepe was the main letdown. The crepe also could have used something else inside to add to the braised beef. I liked the Chicken Gumbo Crepe a little more. Again, the dish was a little too dry for me to give it much praise. 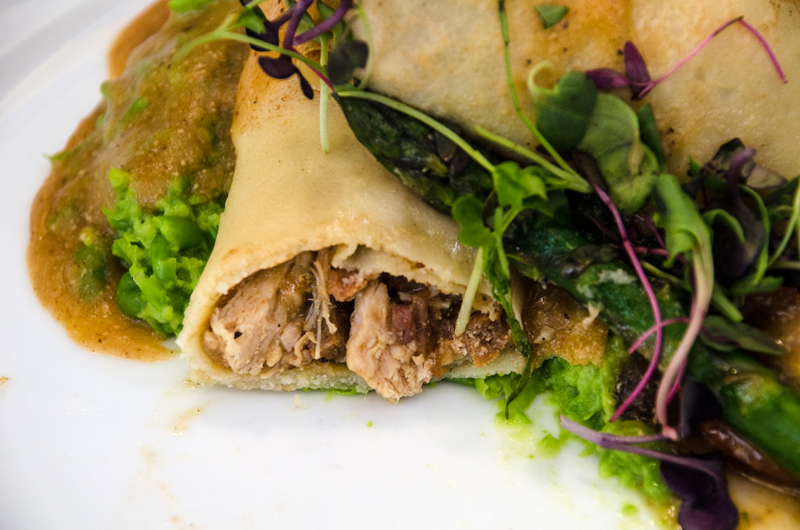 The crepe was supposedly filled with all of the gumbo ingredients – chicken, ham and sausage. What I got was mostly chicken but it was still good chicken and had more layers of flavors than the Braised Beef Crepe, probably due to a little bit of sausage and ham in there. While I think the word ‘gumbo’ probably scares a few people off because of the spiciness of gumbo, I didn’t find this to be very spicy. Disney usually takes it pretty easy when it comes to spice and that was the case here. The pea puree on both plates was surprisingly good. I’m not a huge fan of peas but this was a pretty decent augmentation to the crepes. The sweetness helped add a flavor that wasn’t there and the texture was pretty smooth. While there might have been just a little too much puree and slightly too little crepe, the presentation was very nice. How you get pea puree to look nice is beyond me but, congratulations Disneyland, you did it! After our entrees, I think we both had wished we had ordered the Monte Cristo, which Cafe Orleans is known for. We didn’t order it because the crepes sounded more appealing at first but if and when I go back, I’ll be trying a different option and it will most likely be the Monte Cristo. My dog’s name was Monte. He was a great dog. There were several intriguing options for dessert but it wasn’t much of a choice, if I’m being honest. 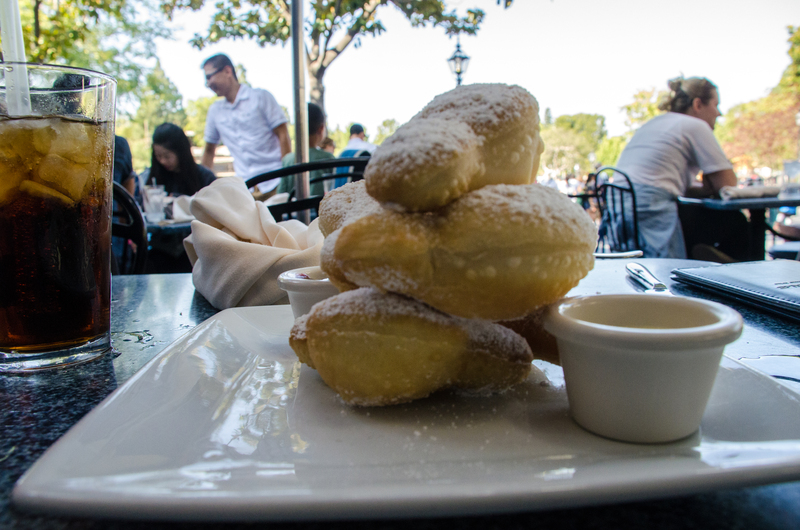 Mickey Beignets were ordered after we barely gave the menu a courtesy glance. They were ordered and they were delicious. The dough was light and fluffy. 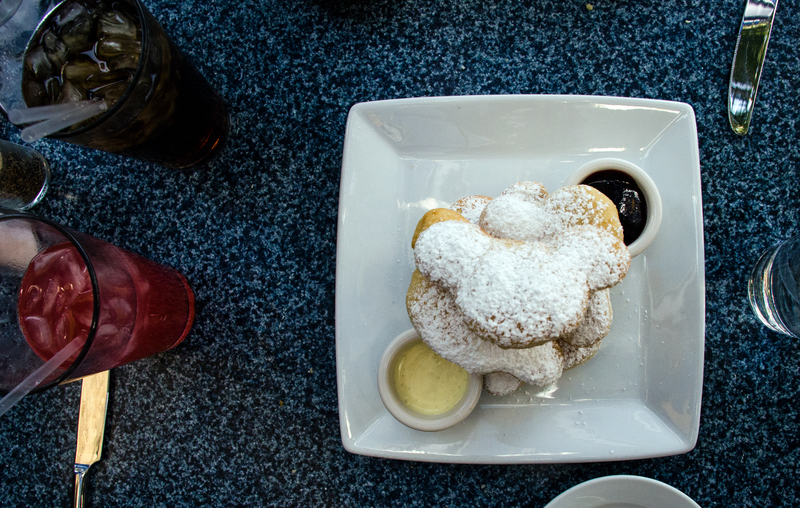 Combining that with the powdered sugar on top made for a sweet, melt-in-your-mouth pastry. The Vanilla Creme Anglaise that we dipped the beignets into was equally delicious and added a little substance to the dessert. The other dip was a Fruit Coulis which we both liked but not as much as the creme. Overall, we really enjoyed our meal at Cafe Orleans. The entrees may have left a little to be desired but that was more than covered up by our appetizer and dessert. The location and atmosphere were phenomenal, as we dined and relaxed in the middle of the hustle and bustle. I didn’t think the prices were bad, considering the location and comparing the food to other theme park restaurants. I’d love to try Cafe Orleans again and will in the future. Thank you for reading! If you’d like to check out more dining reviews, here is a link to our Disney Dining page. This is one of my favorite places to eat at. I definitely recommend the Monte Cristos here.